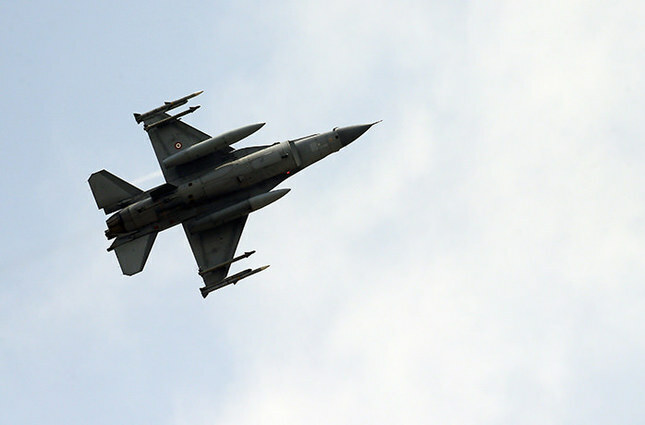 Turkish warplanes reportedly bombed 64 PKK targets in northern Iraq overnight, killing 60 terrorists, and destroying the organization's largest ammunition storage. 21 warplanes struck sites where the PKK are located at Qandil, Zap and Avashin in the mountains of northern Iraq in attacks launched shortly before midnight that continued until 5 a.m. (0200 GMT), the sources reportedly said. A total of 80 bombs were reportedly dropped on the PKK targets. In Diyarbakır, the largest city in the mainly Kurdish southeast, PKK terrorists opened fire on a restaurant frequented by police in the main commercial district on Friday morning, wounding three police officers and killing one civilian, security sources said. One of the officers was seriously injured in the attack. After Turkey's June 7 parliamentary elections, the Kurdish Communities Union (KCK), an administrative PKK organization, declared the end of the cease-fire which the PKK's imprisoned leader Abdullah Öcalan had negotiated before and starting after July 11 initiated attacks against Turkish security forces. The Turkish government has intensified its counterterror operations following the recent attacks carried out against Turkish forces and civilians by the PKK, which is recognized as a terrorist organization by the U.S., EU and Turkey. After the end of cease-fire, more than 110 Turkish security forces were killed in terrorist attacks including the recent Dağlıca and Iğdır attacks that respectively claimed the lives of 16 soldiers and 13 police officers. Formed in 1978, the terrorist group has been fighting the Turkish government for an independent state until the early 2000s. The group then shifted its goal to autonomy in the predominately Kurdish inhabited regions of Turkey.